It’s been two months since I had my last holiday. That’s 1.5 months too long for me. We’re off to Tuscany. To a villa with a pool. With seven friends. The plans sounded pretty relaxing until the words “professional” and “cook” got mentioned in an email trail. About me. I went into panic mode. The expectations were high. What would I do without a cupboard bursting with spices? No kitchen gadgets? Or easy telephone access to mother? I sat in my friend’s bed. Contemplating my social fate over a glass of Bourgogne and her Saag Chicken, Aloo Gobi and fried Bhindi. 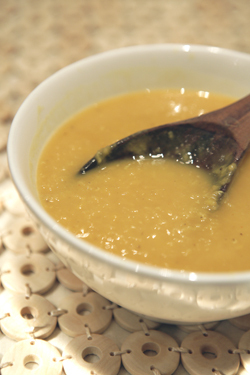 Then I tried her sublime Dal – soft and smooth, buttery red lentils. Amazingly, she’d cooked it using only asafoetida, chilli and turmeric powder. The most delicious and simplest Dal recipe yet! 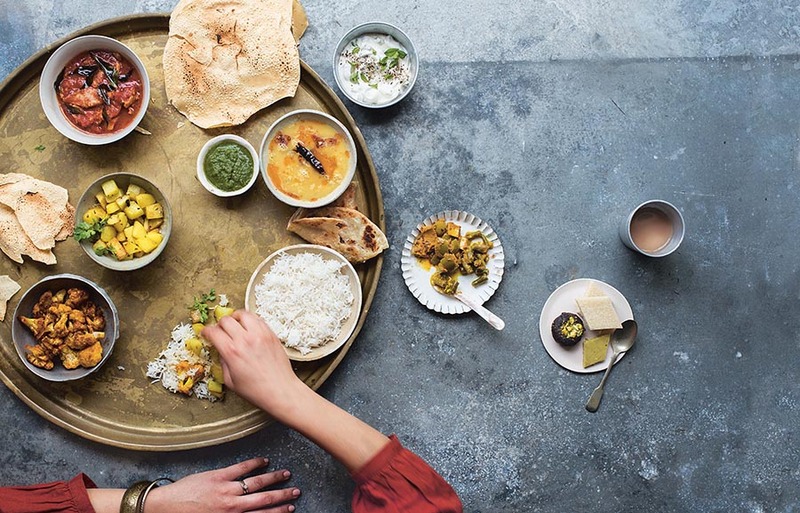 I am feeling inspired about creating a Indian feast with the most minimal of ingredients in Tuscany. I’ll take a few spices to be on the safe side but try and source as many ingredients locally as possible. Wish me luck. I’ll need it to keep hold of those friends. Wash the lentils throughly under a cold tap until the water runs clear. In a pot add the lentils, mix in the turmeric and pour in double the amount of cold water. Bring this to boil on a high flame. As the lentils boil, scum and foam will rise to top. Just skim this off and chuck it. Keep adding half a cup of hot water every time the lentils dry up to help them cook and integrate well with the liquid. If you add lots of water in one go, you’ll get a runny dal that won’t do this justice. When the lentils start resembling a thick, fibrous soup make the tarka or tempering. In a little pot, bring the ghee to heat on a high flame. When it’s hot, add the asafoetida and the chilli powder. As it sizzle up, stir this into the lentils. Add salt according to your preference and enjoy with Methi Murgh or simply chilli pickle and rice. love this simple dal and i am happy to see u have used ghee here as i usually use ghee for tadka whenver i cook dal. UK is again gearing up for floods Mallika and you are off to enjoy the sunny Tuscany!! U are one lucky girl!! and hey all the best and can’t wait to hear how it all went!! We eat this dal with rice and with a little ghee nothing beats it! Have fun in Tuscany!! We are going there next month and really looking forward to it! i have always tried out my dals in the pressure cooker. I use double the amount of water n let it whistle 5-7 times.Never knew any other way ;)Anyway i was wondering does the boiling down procedure add to the taste n flavor? i have always tried out my dals in the pressure cooker. I use double the amount of water n let it whistle 5-7 times.Never knew any other way ;)Anyway i was wondering does the boiling down procedure add to the texture n flavor? Hang on to those friends with both hands…& have a great holiday. Yes, this is the simplest dal ever. I have a twist on this one. The one I usually make is mainly the red masoor dal, with just a tbsp or 2 of the yellow moong dal…salt,turmeric,red chili powder. Sublime. I let the pressure build up & give it just the first whistle; then turn it off & let the blessed thing cook in its steam..I can eat bowlfuls!! You can also try a zeera & fresh green chili tadka…flavours it beautifully (chopped tomatoes in the tadka also adds a dash of colour). I had better shut up now…have a fab vacation!! Sounds delicious! I am sure that you will do a great job cooking for your friends in Tuscany! Have a great vacation! have a blast on your vacation! I guess you are much more devoted to cooking than I am . The only thing I wish to do on my vacation is eat and preferably something I haven’t cooked myself. Your friends are lucky to have you! Thanks all. Back now… Ugh! Hi Smithz – The boiling down thing just makes for a thicker, more integrated dal. As many of my readers don’t have pressure cookers I tend not to use it when cooking for my blog.